It can be difficult to find a really great gift for Grandma because she already has a lifetime of trinkets and gadgets and “World’s Best Nana” coffee cups. The last thing she needs is more stuff. But just because it’s hard doesn’t mean you should stop trying. Grandmothers are more than “moms with lots of frosting” as the saying goes. They are people with hobbies and goals just like everyone else. 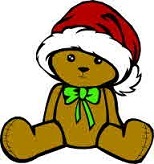 If you concentrate on her as an interesting individual your hunt for a gift as grand as she is will be much easier. Grandmothers love to take photos of their grandkids and their dogs and their gardens – it’s true. But some are also artistic souls who’ve always longed to learn more about photography. If she’s the “dogs and grandkids” kind, buy her an easy share style of camera so she can send her favorite pics to all her friends. If your grandma has been waiting her whole life to explore her artistic side, spring for a beginner friendly DSLR. Does she love exotic teas or fresh fruit or would she cry happy tears at the thought of not having to cook herself dinner every once in a while? Then sign her up for a monthly delivery club like fruit of the month, or dinner of the month. Gifts that are consumable are especially nice because they don’t sit around collecting dust, and being enrolled in a club means she gets a nice little surprise to look forward to each month. Most “of-the-month” clubs offer 3-, 6- or 12-month membership so you can control the costs. These are an easy DIY gift that any wine-drinking, board game playing Granny would love. Made from a Scrabble tile, an eye-hook and a bit of ball chain they’ll be the perfect thing for her next game night. For a special gift you could include a certificate for some game time with you because your company really is the best gift of all. Alright, it’s true, older women do chill more easily than they used to. A beautiful pashmina, a handmade scarf or cozy button-down sweaters are gifts she’d love. But remember just because the calendar says she’s an old lady that doesn’t mean she wants to dress like one. Skip the fleece sweatshirts with pictures of cats or characters on them; she may buy those herself but we all know she shouldn’t. Opt for something stylish and feminine that keeps her warm without hiding the fact that she’s still a vital and attractive woman. Grandma may have trouble finding really great products for her changing skin, so why not make her some? A coffee body scrub is inexpensive and easy – so easy even the youngest grandkids can help. The combination of natural ingredients will help smooth away rough spots, fade varicose veins and help tighten her skin. Grandma will be thrilled that you made a spa-quality gift just for her, but if you’re feeling especially generous you could also throw in a gift certificate for a pedicure; she may be having a little trouble bending over to paint her own toes these days. There’s no one-size-fits-all solution when it comes to choosing a gift for your grandmother. Grandmas living on a tight fixed income might appreciate a gift card for the grocery store more than a charm bracelet, and those who spend their weekends Salsa dancing may not be too thrilled with a new pair of knitting needles. And, if you don’t know your grandmother well enough to choose a great gift for her then you may just want to start inviting her over for dinner a little more often. Danielle blogs on behalf of Sears and other brands she uses. This year, she’s getting her grandmother sweaters for under the tree and putting wine charms in her stocking. Merry Christmas From Grandma’s Home Blogger Place! I’m looking forward to a brand new year, very excited as to what it will bring! Welcomed changes are on the horizon. 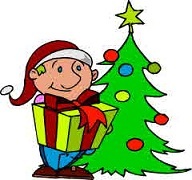 Wishing you all a Merry Christmas and a safe, prosperous, and a very Happy New Year! May you all find peace, joy and contentment in all you do and all your home business travels! 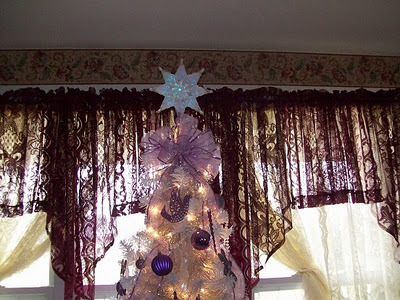 A couple of years ago, while decorating my tree, my Daughter-In-Law was there and I just made a quick remark while placing a purple ornament on the tree. Yes, a white Christmas tree! It was a complete shock and surprise to me! lol I sure didn’t think anything of the comment I made. It didn’t even enter my mind. 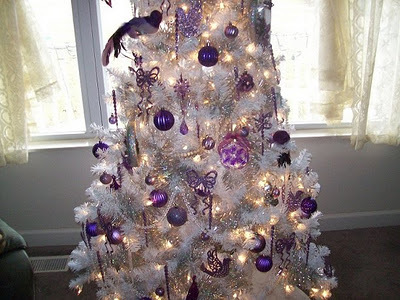 So, we had a white and purple Christmas tree that year. I loved it of course! 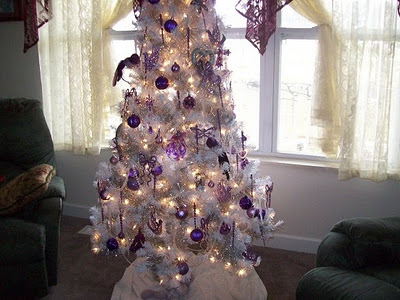 I collected purple ornaments throughout the year a little at a time.